Tamil Nadu colleges outperforms than other states, Loyola Chennai second best in the state. In the NIRF Ranking 2019 conducted by the Ministry of Human Resources and development (MHRD), which is lead by Delhi University's Miranda House, Hindu College, St. Stephen's College, Lady Shri Ram College for Women, SRCC, Hans Raj College are in the top 10 in the country. Tamil Nadu colleges outperforms than other states also in 2019 with 2 colleges in top10 and 5 colleges in top 20. In total, 20 educational institutions from Tamil Nadu were ranked in the top 100 institutions in overall ranking of National Institutional Ranking Framework (NIRF) 2019. Chennai's Presidency College is at 3rd position and is the best among colleges in Tamil Nadu. 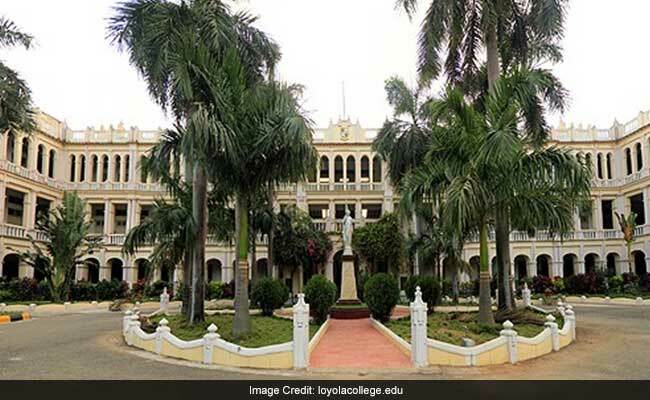 Loyola College Chennai is at Rank 6 and also is the second best college in Tamil Nadu . Last year, Presidency and Loyola were at 5th position and 6th position respectively. Madras Christian college is at 13 th position.